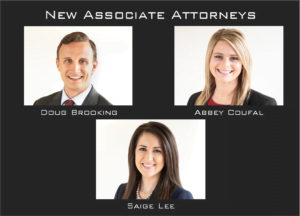 Sprouse Shrader Smith is proud to announce the addition of 3 new associate attorneys, Doug Brooking, Abbey Coufal, and Saige Lee. Doug Brooking received his Bachelors in History from Xavier University in 2015 and went on to complete his J.D. from the University of Oklahoma College of Law. 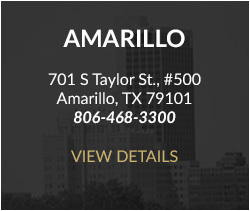 His primary legal focus is on oil and gas title examinations, oil and gas transactions, and general real estate matters. 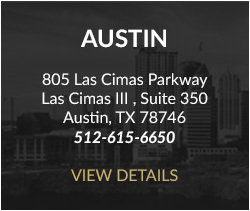 Abbey Coufal joins the firm in the Wealth Planning and Probate section where she assists clients with wills, trusts, probating estates and real estate matters. She completed her undergrad at West Texas A&M University and her J.D. from Texas Tech University School of Law. Saige Lee received her Bachelors from the University of Texas of the Permian Basin and her J.D. from the University of Oklahoma College of Law. 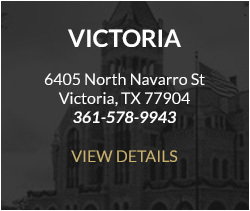 Saige’s practice is primarily focused on civil litigation.